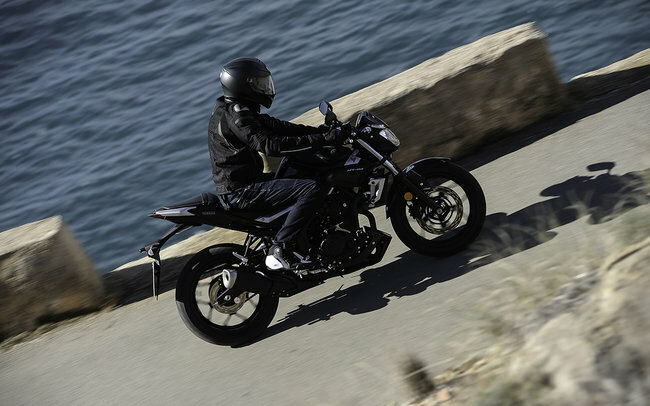 Real Riders: 2016 Yamaha MT-03 Review, Little Big Bike ! Many A2 Licence bikes are easy to ride and great value – small bikes are easy to build that way. But it’s much harder to compete at this level with a machine that’s truly full of character – how do you make a motorcycle with a small, cheap engine stir the soul in a meaningful way? 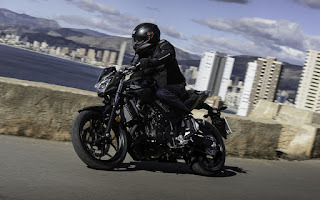 And yet with the Yamaha MT-03 – a model designation rapidly gaining a solid and fun reputation – The Japanese has done an excellent job of creating the happy-go-lucky nature of other small bikes out there, but with an added edge. Of course, the Yamaha MT-03's 321cc engine won’t blast you off to nine-second quarters; the same parallel twin that powers the R3 isn’t allowed to be a rocketship for the reasons above. It is, however, an enjoyable engine for something so small. It loves to rev, but also gets off the line pretty hard for its size. The breadth of the engine’s power helps the bike act out scenarios like a big bike – you could tour the MT-03 happily, not something many of the A2 bikes at this price point (£ 4,499) would handle. So while the Yamaha MT-03 engine isn’t a powerhouse, It did allow a bunch of us adult-sized but child-minded journos to attack sections of the Royal National Park while grinning at each other like idiots. It’s not quite in the ‘if-you-back-off-then-downshift’ class of smaller bikes, but it does help if you are pushing hard to keep that tacho needle bouncing high. This is not unexpected for a 321cc engine. What is unexpected is how well the rest of the bike allows you to treat it that way. 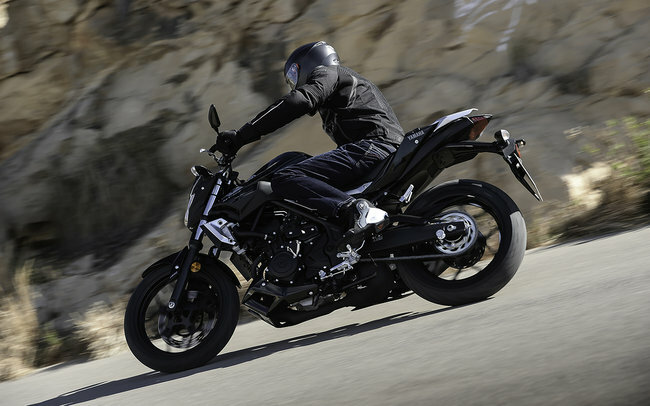 The Yamaha MT-03 is impressively stable, another reason it feels like a big bike. Flitting from corner to corner, it eggs you on. It took a few lackluster corner exits to remember the throttle-tube needs stretching to get that parallel twin boiling away, but once the brain is switched into attack mode, it’s easy to keep the bike purring. Do new riders need to know this? No, not at first anyway. 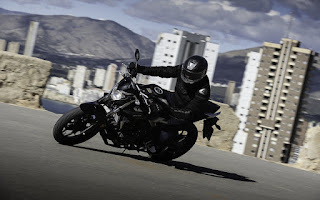 But the fact the Yamaha MT-03 is versatile enough to do so is encouraging, it also makes light work of dodging witch’s hats and riding slowly. Just the mention of the Pre-Provisional test U-turn is enough to send some L-platers into shutdown (depending on where you live), but on this bike the low-speed manvouering stuff really is so easy. 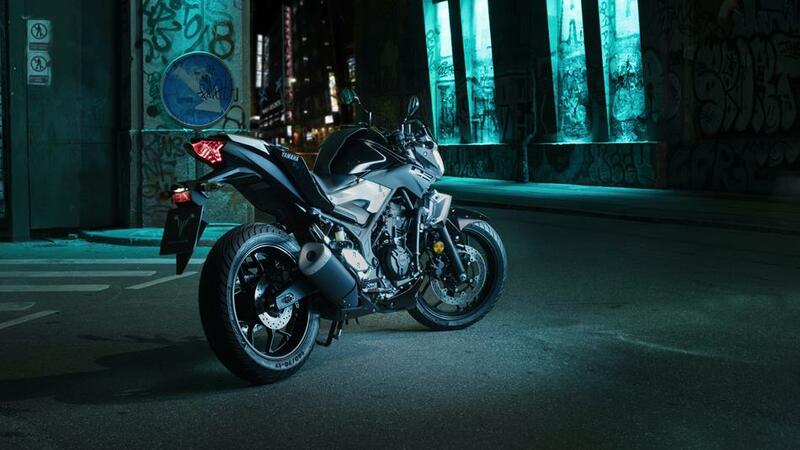 Yamaha MT-03 walks that in. A light clutch, good steering lock, responsive throttle and easily managed engine all join forces with the bike’s natural balance and talkative feel to provide a P-test smashing platform – worth investigating if such things loom in your future. This is one of those bikes that allows you to pull up to a stop and remain stationary with both feet up for a moment, without even really trying. 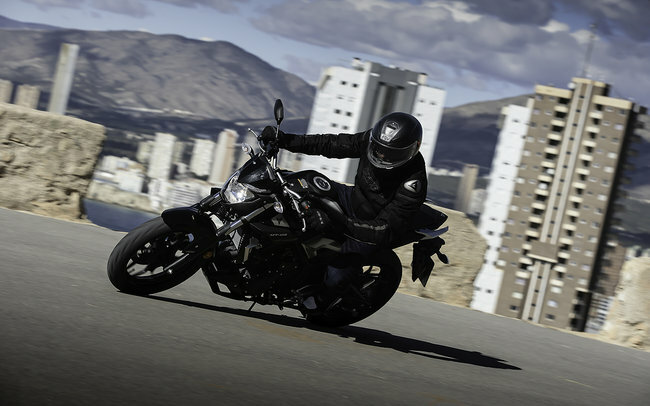 Yamaha MT-03 is naturally balanced, feels rock solid and its ride position helps here, too. When it comes to features on a £ 4,499 motorcycle, it’s hard to add too much electrickery without blowing the budget, so Yamaha spent its sheckles on making it not only one of the more practical bikes in this genre, but also one of the best looking. 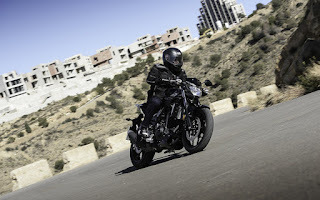 Unfortunately, We all left a little short-changed by the Yamaha MT-03. It doesn’t feel like it came out of the Yamaha factory, and you can tell it’s been built to a tight budget. Nobody liked the view from the cockpit, the silver bars appear cheap and the whole effect feels devoid of the firm’s usual care. The graphics on the side reading ‘dark side of Japan’ are a little cheesy for our mature group too. 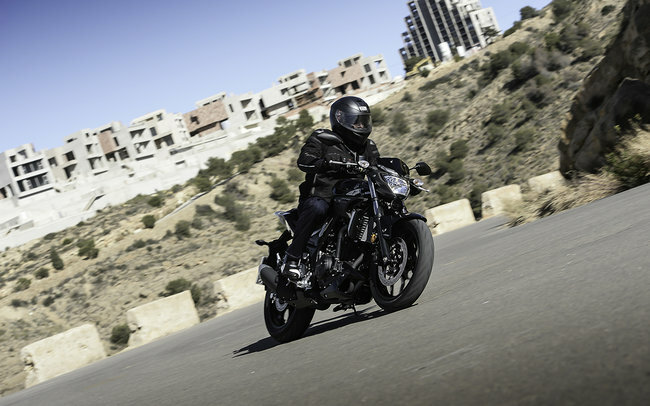 Because of the lightness of the bike (168kg wet, claimed), the above mentioned low-speed abilities and the sheer practicality of the Yamaha MT-03 means it really is a great performer across a variety of uses – perfect for taking on the adventure. You don’t need to second guess whether this bike is appropriate for the job or not. You can take it all the way to Perth, or on a ride day, into town in the wet, wherever. That’s exactly what new riders need – a bike that gives you so many reasons to ride, rather than excuses not to. 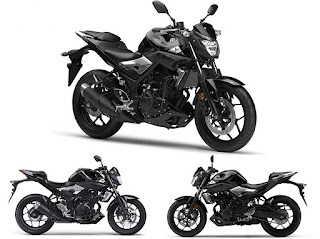 Yamaha MT-03 isn’t totally pigeon-holed into one genre, so it can operate in marginal settings. It also lets riders get through the realities of being an L- or P-plater and improve their skills by complementing whatever they do. 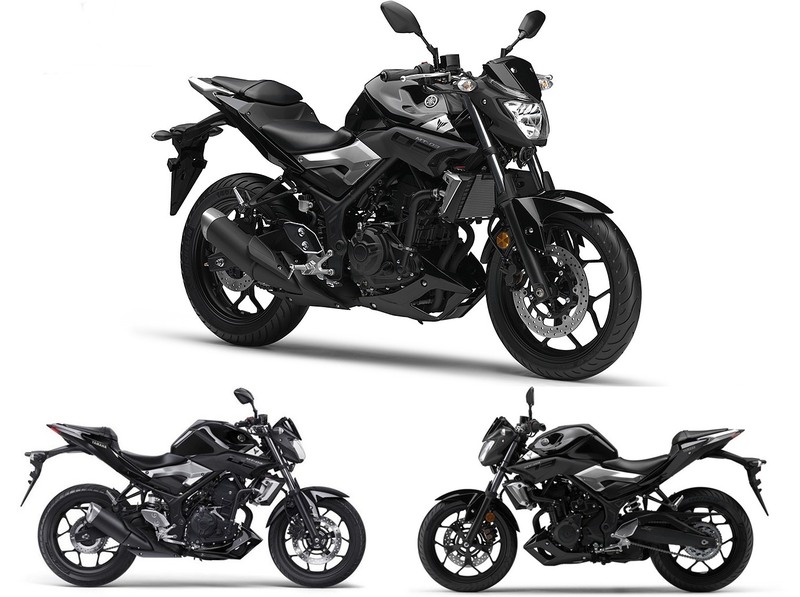 Given the sticker price and the design brief, I can’t fault the Yamaha MT-03 in any way that looks like anything more than an even-up complaint following a great review about the way it ride. 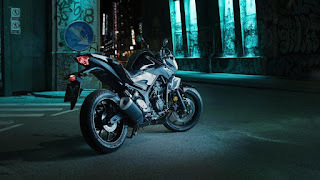 I believe it nails its intended purpose and even in swollen market, filled with excellent bikes such as the Kawasaki Z300 and the Z250SL, it stands out with its playful character and broad range of abilities. Yes, it would be better with an adjustable clutch lever or even more aggressive look, you can’t switch the ABS and another disc up front would complete the look, but this is minor stuff – and again, in the ballpark given the price tag. For £ 4,499, the Yamaha MT-03 is a magnificent place for people to hang L- or P-plates, or to just to ride something cheap and very very cheerful.